The Programme of Armenian Studies invited Dr Eray Çaylı to present a lecture on the topic of the persecution of the Ottoman Armenians at the end of the 19th and start of the 20th centuries and how we should strive to understand those events. Eray Çaylı is a teacher, researcher and writer with an interest and specialism in the intersection of architecture and anthropology. 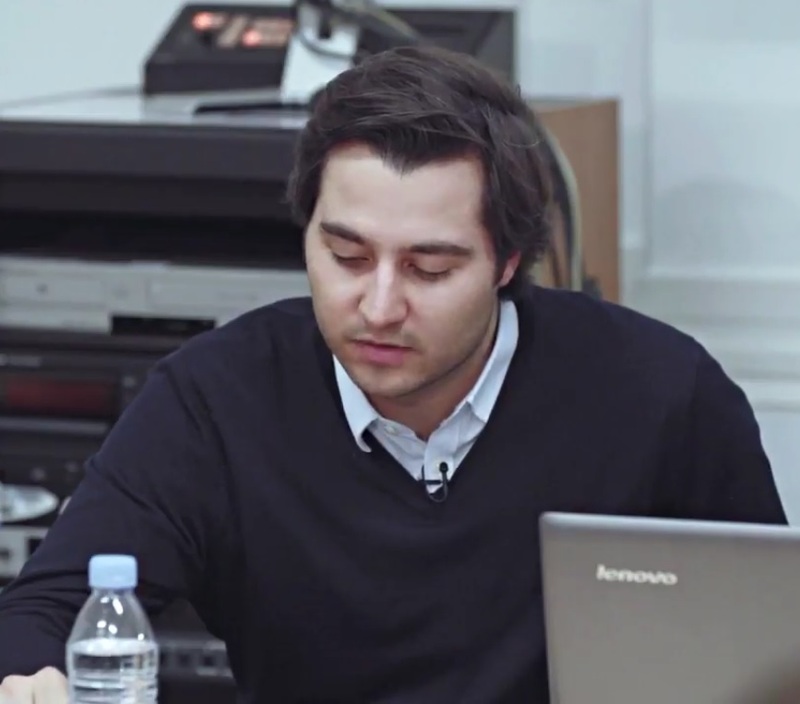 He completed his PhD in February 2015 at the Bartlett School of Architecture, UCL. Çaylı’s PhD and current research interests concern the built environment’s relationship to violence, disaster and protest. He currently works as Lecturer in Critical & Contextual Studies at the University of Hertfordshire School of Creative Arts, as Teaching Fellow in Architectural History & Theory at the Bartlett School of Architecture, and as Adjunct Professor in the History of London’s Built Environment at the Syracuse University School of Architecture (London programme). 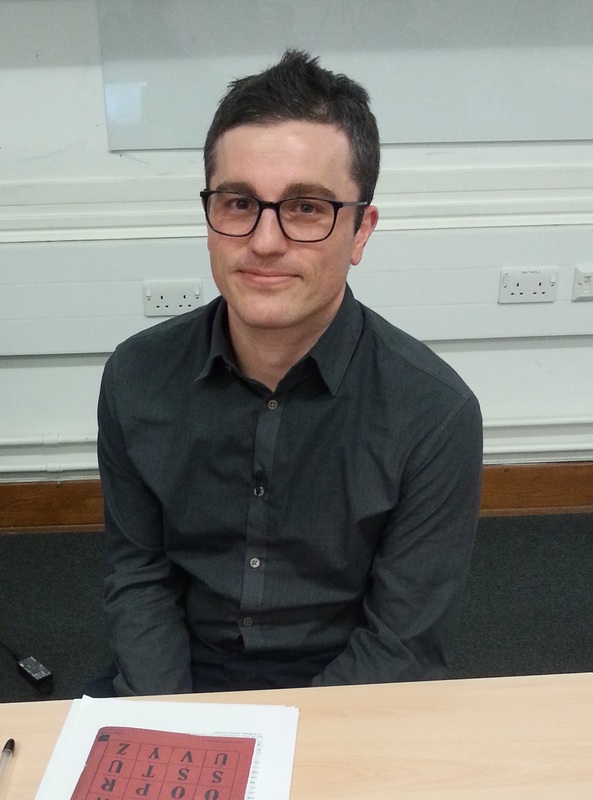 This lecture took place on the 3rd March, 2016 in London and was chaired by Chris Sisserian. The crux of Çaylı’s talk tackled the issues of “truth” and “fact” with regards the Armenian Genocide and the way in which we perceive the events of that period. The events of those times still crop up today in references within the local and national, and formal and informal contexts in Turkey. On occasion the allusions made to the massacres of the Armenians of the late Ottoman period are somewhat “unexpected” and “accidental”. The “accidental” nature of the reference of such encounters of the past in the present can, for example, be characterised by the response to a natural disaster, e.g. the Van earthquake in 2011. A journalist from the Turkish daily newspaper, Milliyet, rebuked a comment made in Reuters with regards the earthquake in which it was stated that “the earthquake took place in many of the regions where Armenians were massacred and deported during World War One”. The journalist disagreed with making a connection between a natural disaster at the present time and human conflict from around a century before. Nevertheless, the consequences of the earthquake prompted discussions of the events of a century ago as in 2013 Armenian ruins had been found in the rubble of the disaster. This is the essence of Rosalind Morris’ notion of “accident”, to which Çaylı referenced, which amalgamates both the temporal and spatial nature of a past event and its consequences. Çaylı argues that the notion of “accident” renders historical events not as an isolated or immutable past, but as something that runs the risk of cropping up in the present and future in varying forms. It is therefore necessary to take into account the multiplicity of actors in historical events, which includes both human and non-human actors (e.g. buildings, bones, trees, rivers, mountains etc.). During Çaylı’s doctoral research in Diyarbakir, which was related to the architectural commemoration of political atrocities in modern Turkey and not to Armenians of the Ottoman period, he came across his own first “unexpected” encounter. This caused a significant divergence in Çaylı’s direction of research. In the late 2000s the state launched a project to turn the citadel of Diyarbakir into a city museum. In 2012, when the museum’s heating structure was being installed, workers came across piles of bones. Pro-Kurdish voices demanded to know the truth behind the bones, taking into account the JİTEM-related past of the area (JİTEM is regarded as the intelligence wing of the Turkish Armed Forces and is seen to be part of the “deep state” in Turkey). The state medical forensic institution, however, identified the bones as being “at least one hundred years old”, and so the demands withered away. Rumours then began to spread that the bones belonged to Armenians who were murdered during the Hamidian massacres of 1894-6, committed by predominantly Kurdish forces deployed by the Ottoman Sultan Abdul Hamid. This prompted a link between the violence of the 1890s and the 1990s, characterized by a Kurdish saying that could be rendered into English as “what goes around comes around”. This saying echoes Morris’ point that accidents render violent histories temporally pervasive, unsettling the future rather than simply triggering a return to an unresolved past. A second “unexpected” encounter introduced the spatial counterpart to the temporal pervasiveness. This took place during Çaylı’s research on the commemoration of an arson attack in the central-eastern city of Sivas in 1993. He conducted his research in the nearby villages, inhabited by Alevis. Çaylı asked his interlocuters the names of the land forms in the surrounding area. A stream that bordered one of the villages was called ‘consignment’. This is where Armenians from a nearby village were gathered in 1915 and ‘consigned’ eastwards. Another was named ‘bloody’ stream, and this is where Armenians from another part of the region were killed en masse and the stream ran blood red for months. The names of these geographical entities are not official, but arise from colloquialisms invented by the local people. The legacy of violence has been engraved into the land and has been transmitted via colloquialism across time. These references are spatially pervasive as they traverse the topography, geology and toponymy of the region. Since these geographical entities are given colloquial names after the events that they have witnessed, and are also referenced during natural disasters, being symbolised as the “Armenian curse”, what role do these random “accidents” play in the understanding of “truth” in a historiographical sense? Çaylı refers to Marc Nichanian’s work with regards the link between the Armenian Genocide and modernity. Nichanian is at odds with the labelling of the events of the late 19th and early 20th centuries as a genocidal “fact”. He considers this assignment of “fact” to these events to actually dissolve the factuality of the Genocide itself. It is the very destruction of the fact of genocide. It is a blurring of the real experiences of the people who were involved in the events and of those who live its consequences up to this day. Nichanian considers that the reliance on the modern institution of archives as sources of historical “facts” renders a vicious cycle of self-referential and self-validating episteme. One of the ways to break this cycle, Nichanian proposes, is to develop various other types of truth – “a truth grounded in law, a truth grounded in memory, a truth grounded in artistic representation, and whatever else, God only knows”. Many of the interlocutors relaying the accidents are themselves survivors of recent atrocities. There are direct analogies drawn between the violence witnessed by Armenians a century ago and those who have witnessed violence across Turkey thereafter. It is in such contexts that the legacy of violence becomes spatially and temporally pervasive and is transformed into “accidents”. The environment also becomes active in its role in testifying to the violence of the past. The environment may be thus included as the third category of testimony, in addition to testimony as document and testimony as monument. In order to explore what sort of truth can emerge from the testimony as environment, Çaylı refers to Bruno Latour’s critique of political ecology. Latour suggests that modern society has perceptually dissociated itself from nature, rendering society and nature diametrically opposite to one another. Nature has been taken for granted as a passive object. This, in Latour’s view, can be demonstrated in the problem of modernity’s perspective on history, which generally sees nature as being detached from “human” events (i.e. nature is not seen or appreciated to play a significant role in historical events). According to Latour, this perspective is evident in the modern notion of “fact”. Latour points to science and its epistemology as influencing this modern perspective on history and its “facts”. He proposes to re-conceptualise history as “geostory” where the object and subject are given equal weight when looking at history. This would undo the effect the modernity has had on our view of history. This re-conceptualisation re-attaches humans and the environment as actors with equal agency, distorting the strict modern dualism of subject and object. The informal sayings that locals have been using to describe the nature and natural disasters around them demonstrates the interrelationship between human and non-human actors in producing history. A modern reading of such encounters would render the human subject as being the only agent in this process of historical production, whereas here we accept an active exchange between both the human and non-human actors. Nevertheless, this sort of “geohistorical truth” would not be so useful when discussing legal issues such as reparations, since the obfuscation of subject and object would render the distribution of justice and the laying of blame a near impossible task. By leonaslanov in Uncategorized on May 29, 2016 .